DIY Makeup: Crayon Matte Lipstick and All Natural Bronzer | Grand Central Magazine | Your Campus. Your Story. Makeup can get expensive, and as college students, it’s tough to justify dropping $15 on one lipstick. The DIY alternative make up trend has been everywhere, so we tried a few DIY beauty product recipes to see just how easy they are to create. The results? Fabulous. Place the glass bowl over a pot of boiling water (Make sure to set stove on a low-medium heat, crayons tend to easily burn if the heat is cranked up). After you choose your crayon of choice, remove the paper and cut the crayon into equal pieces. Remember this is your time to be creative, so don’t be afraid to mix and match those colors! 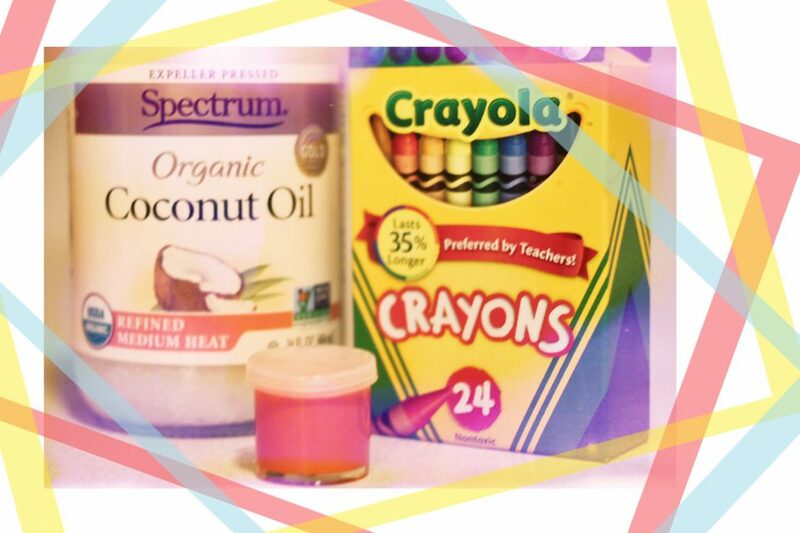 Scoop 1/4 teaspoon of coconut oil into the glass bowl for every piece of crayon. You should repeat this step roughly four times, depending on the size of the pieces. It’s important to slowly stir in every piece of crayon one at a time to ensure your lipstick is smooth and lump free. It should take 30-50 seconds for every piece to completely melt. Once your mixture has a smooth texture, you can pour the contents into a storage container. You should let the lipstick set in the container for a few minutes to cool and thicken. Apply your lipstick with a brush and rock your new matte lipstick! These cooking powders may seem peculiar to use as a base for bronzer but trust us, there are plenty of great benefits to using them. Cocoa powder contains Vitamin E, which is great for reducing wrinkles on the face. You can say goodbye to those defined lines! Cinnamon helps to fight off acne and bacteria, by reducing the pores in your skin, leaving your face completely smooth. Mix the dry ingredients into one bowl (Cocoa powder, corn starch, cinnamon and nutmeg). Measurements will vary depending on skin tone, but the mixture should be one shade darker than your natural skin color. Add a small amount of lavender oil to the bowl of dry ingredients and mix the contents very well. The consistency should be thick and smooth. Once you have the ingredients mixed together, scoop the mixture into your makeup compactor. Lay a sheet of paper towel over the makeup compactor and smooth the top down with a spoon. The goal here is to release any excess oil from the compactor. Place the makeup compactor into your freezer for two hours, then remove from the freezer and let it stand for 20 minutes. Apply bronzer to your cheekbones to achieve a fabulous contour! Separator image Posted in Beauty, Style, Style & Beauty, Trend and Beauty and tagged with beauty, Chanda Crenshaw, DIY, make up, Style, Style & Beauty.